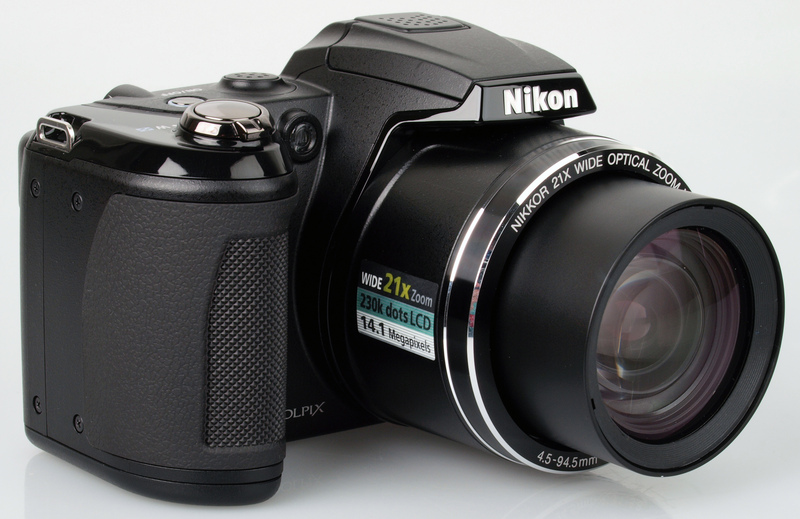 The Nikon Coolpix L310 is a budget super-zoom digital camera with a 14 megapixel sensor. Daniel Bell reviews. 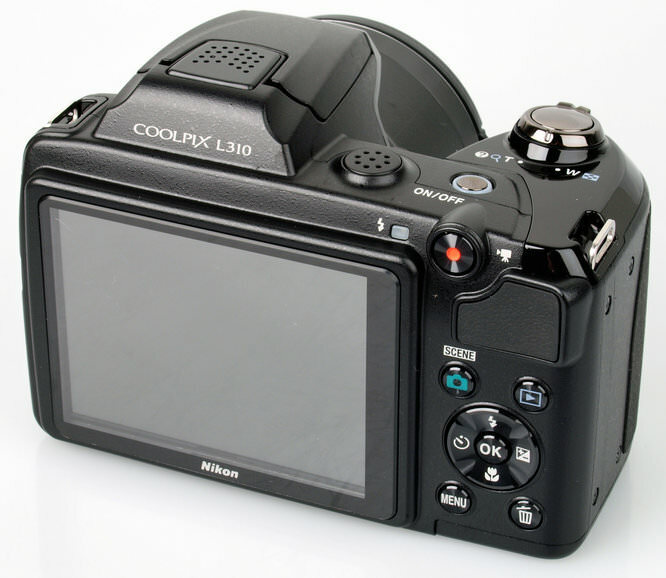 The Coolpix L310 was added to Nikon's Life range in February 2012 and is a budget, 21x optical zoom camera. It is available in black for £149.95. 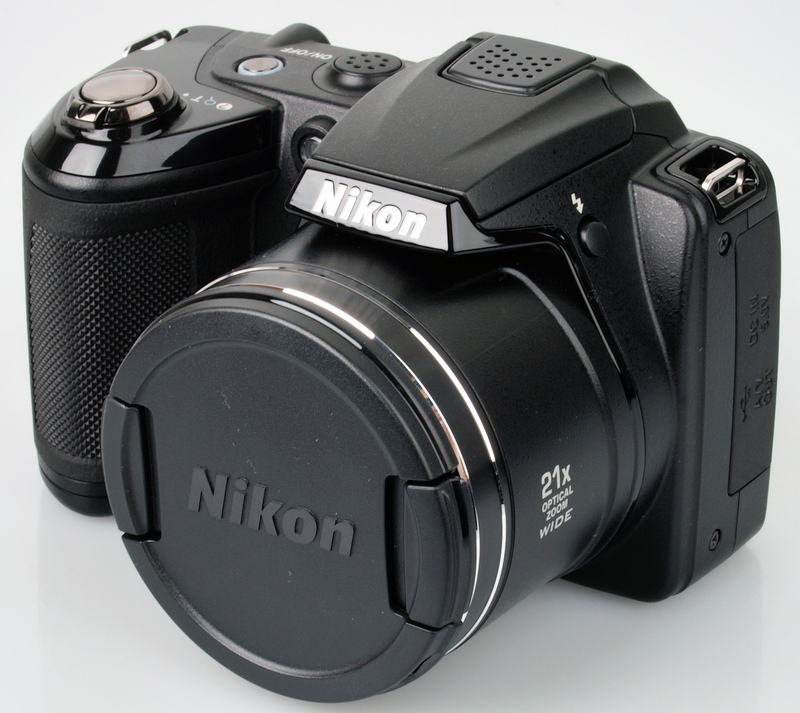 The Nikon Coolpix L310 has been updated by the Nikon Coolpix L320. 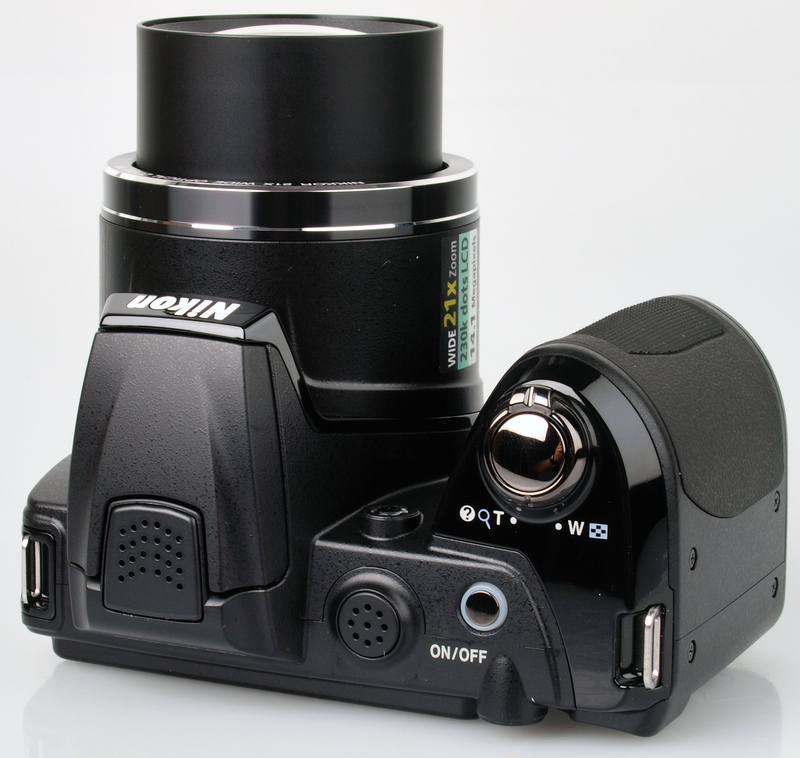 The L310 has a 14 megapixel CCD sensor and 21x optical zoom lens, which is a 35mm equivalent of 25-525mm. There is sensor shift VR (vibration reduction) to help reduce the effect of camera shake. Shooting is made easy thanks to Easy Auto mode, which automatically adjusts the cameras settings for the scene. There are also 17 scene modes which can be manually selected as well as Sports Continuous and Smart Portrait System. This includes Smile Timer, Blink Proof, Skin Softening and Red-eye Fix. Videos are recorded at 720p HD, with optical zoom available during recording. The L310 offers a rubberised hand grip as well as a rubber pad on the rear for your thumb, making it an easy camera to grip. As you may expect for a budget camera, the body is made from plastics, but it does have a metal tripod socket and a lock to keep the battery and memory card cover firmly in place. Nikon also supply a lens cap with the camera. The menus system is simple and easy to navigate using the d-pad. The other buttons are typical for a digital compact, with a movie record button placed on the rear. The 3 inch LCD screen is clear and easy to view. 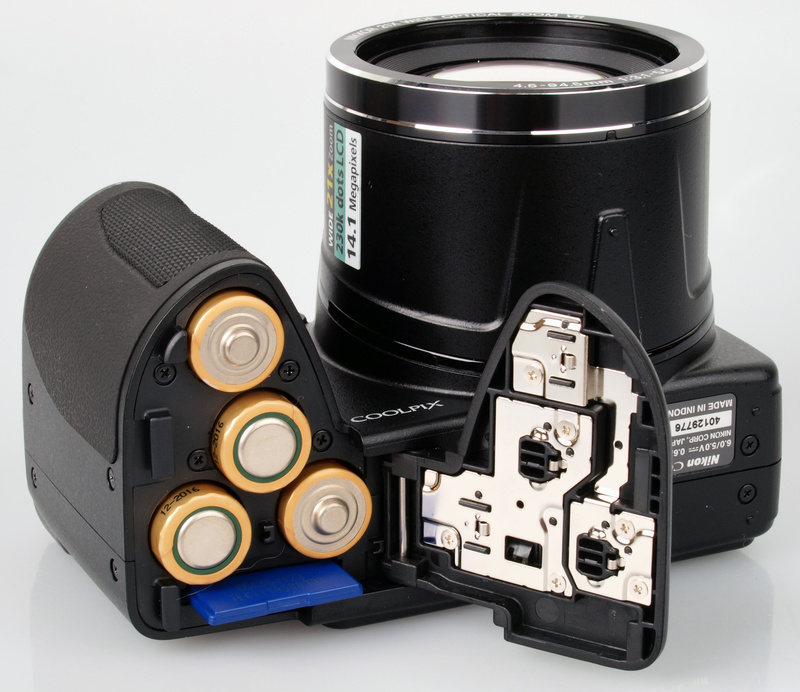 The L310 is powered by four AA batteries, meaning it'll be easy to find replacements when necessary. It has a CIPA rating of 420 shots, we managed in excess of this number during testing, the number of shots will very much depend on the quality of batteries used. We tested the cameras performance at focusing, shutter response, shot-to-shot time, continuous shooting etc. and have posted the results below. To test this we took 6 or more shots and calculated the average, so that consistent results were produced. Continuous shooting mode records at full 14 megapixel resolution, with Sports continuous limited to a maximum of 3 megapixels. Additional sample photos and product shots are available in the Equipment Database, where you can add your own review and product ratings. Sample Photos - landscape mode takes pictures with excellent blues and greens, with portrait shots being free of red-eye with good skin tones. The third shot above is one of a series taken using Sports continuous mode. Lens Performance - colour reproduction is pleasing and detail is acceptable, although soft in the corners. There is also some purple fringing, particular evident in the shot above where the full optical zoom has been used. The lens has a minimum focusing distance of 1cm, this allows the camera to take a decent macro shot. ISO Noise Performance - noise is well controlled at ISO 80 and 100, with very small amounts appearing at ISO 200 and 400. At ISO 800 there is a significant increase in noise, causing a loss of both sharpness and detail. Images at ISO 1600 are very soft with white dots appearing. ISO 3200 and 6400 images have a substantial amount of noise, but the image size is limited to 3 megapixels when using these settings. White Balance Performance - the AWB preset does a good job under our studio lighting. Under the fluorescent lights the AWB preset gives a slight orange cast, with the incandescent preset having a very slight green cast. Under the fluorescent lights the AWB preset performs well, with the fluorescent preset a near match. Digital Filters - The L310 has a number of colour modes which can be applied during shooting. There aren't many editing options in playback, although you can select d-lighting. Video - below is a video shot at 720p HD. Optical zoom is available during recording, an example of which can be seen on the ePHOTOzine Youtube Page. The Nikon Coolpix L310 is available for £149.95. 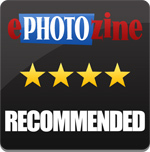 We have reviewed a number of compacts with a similar level of zoom, with cameras covering all budgets. There is the Olympus SP-620 UZ (21x zoom) at £139.00, Olympus SZ-14 (24x zoom) at £149.95, Pentax Optio VS20 (20x zoom) at £165.00, Panasonic LUMIX DMC-FZ48 (24x zoom) at £239.00, Fujifilm FinePix F770 EXR (20x zoom) at £249.00, Olympus SZ-31MR (24x zoom) at £254.00, Canon PowerShot SX260 HS (20x zoom) at £264.00, Panasonic LUMIX DMC-TZ30 (20x zoom) at £279.00, Sony Cyber-Shot HX20V (20x zoom) at £324.00 and Panasonic LUMIX DMC-FZ150 (24x zoom) at £364.00. Other than having 21x optical zoom there aren't many other features that particularly stand out on the L310, but it is capable of taking good pictures with excellent colour reproduction. It's unusual to see a budget super-zoom camera with such good rubber grip, there is also a lens cap and a metal tripod socket, thumbs up to Nikon there. Although lacking in features, the Nikon Coolpix L310 takes good pictures, has a decent zoom range and is good value for money. How about result from indoor/low lighting condition? Is it good? I've only had this camera for a few days and very impressed with it. It may not have all the fluff of other brands in the price range but I prefer simplicity over unnecessary functionality because when your trying to capture that magical moment of your kids doing something truly amazing, you don't have time to still have to select a dozen features before taking the shot. I received this camera as a gift for Christmas and have to say it’s one of the better ones I’ve seen on the market if you compare the price. I stay at the beach and are now able to take brilliant beach pics and the zoom are simply awesome! I can even see what people are doing on their yachts….lol Only problem is that I would like to see a bit more features, but then again, this is only a digital camera for a great price. I give it thumbs up and 8 out of 10 stars. I received this camera as a gift for Christmas and have to say it’s one of the better ones I’ve seen on the market if you compare the price. Only problem is that I would like to see a bit more features, but then again, this is only a digital camera for a great price. I give it thumbs up and 8 out of 10 stars. Bought it to take telephoto shots beyond the zoom range of my "serious compact". On sunny days at ISO 80, it can equal or even beat the performance of the three times more expensive camera. On dull days at high ISO speeds its tiny image sensor can't perform photographic miracles and results are for fun only. I mainly use it mounted on a tripod for long telephoto shots and results are surprisingly good at ISO 80. Photographs, though sharp, can be a bit over exposed and lacking in contrast. My L310 needs to be set at minus 0.7 EV to get exposures right on bright days. The low contrast can be corrected on the computer. Beginners might need some help with this. Though it is a bit battery hungry, my only real complaint is that the self timer, essential when using a tripod, only has one 10 second setting. An alternative 2 second setting would have been good. For anyone who like me is on a limited budget and wants a good, no nonsense, point and shoot superzoom, I can recommend the Nikon L310. Bought it to take telephoto shots beyond the zoom range of my "serious compact". On sunny days at ISO 80, it can equal or even beat the performance of the three times more expensive camera. On dull days at high ISO speeds its tiny image sensor can't perform photographic miracles and results are for fun only. I mainly use it mounted on a tripod for long telephoto shots and results are surprisingly good at ISO 80. Photographs, though sharp, can be a bit over exposed and lacking in contrast. My L310 needs to be set at minus 0.7 EV to get exposures right on bright days. The low contrast can be corrected on the computer. Beginners might need some help with this. Though it is a bit battery hungry, my only real complaint is that the self timer, essential when using a tripod, only has one 10 second setting. An alternative 2 second setting would have been good. For anyone who like me is on a limited budget and wants a good, no nonsense, point and shoot superzoom, I can recommend the Nikon L310. I was wondering why my Lexar 16GB SDHC doesn't work anymore. It says that this card can not be used. This is the 2nd time happening in my Nikon L310 camera. I always keep the memory card in my camera and it never did that in Canon nor Fuji. Is it Lexar or Nikon or the lithium batteries or what? It's so frustrating! My Canon used lithium and the card never died on me. I am thinking of giving my Nikon to my nephew and he can deal with it. Maybe I should have gotten a Canon instead.